When I was writing my first post on 5 Best Ways To Make Money Online, I had just begun my WordPress journey. I was pretty much confused with the DO’s and Dont’s of blogging but one thing was clear in my mind that the content on my website should be easily readable. Font and font size play a major role in presenting the content to your audience. As WordPress provides you only the basic functionalities while you write posts and create your content, changing font and font size in the post is pretty confusing if you have just begun with creating content for your website. While you can always write a short HTML code to change font and font size but the biggest flaw in this – you’ll have to do it every time when you are creating a new content. The above image is of the default Button Row provided by WordPress. 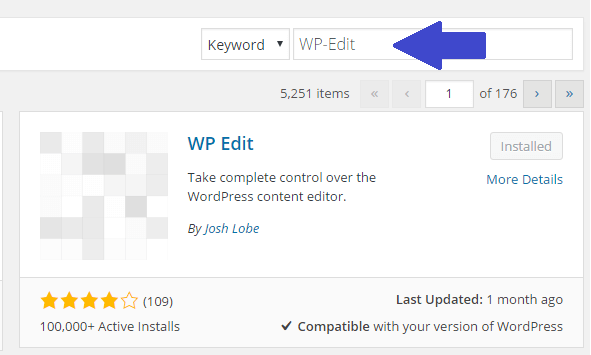 To deal with the above situation, we have a plugin named WP-Edit which is a free plugin. It provides various functionalities other than changing the font and the font size of your post. 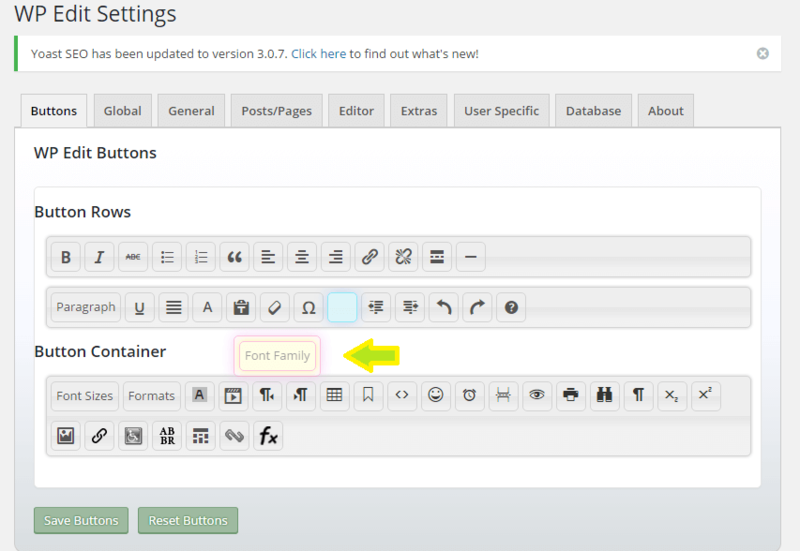 Let us look at the steps to install and use the WP-Edit plugin to change the font and font-size in our posts. Go to Plugins->Add New. Click on Add New to add a new plugin. Now you will be redirected to the Plugins page where you can search for a given plugin and install it. Now in the Search Bar search for the plugin ‘WP-Edit’. This is a very famous plugin as you can see it from the no. of installs. Just click on ‘Install’. After Installing, activate the plugin. 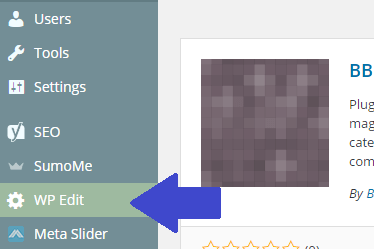 After activating the plugin, you will get a WP-Edit section in you sidebar. Just click on this to change the settings of the WP-Edit plugin. You will see that there are various functionalities that you can customize and use as per your need. The Button Rows, as I had already mentioned, is the default section by WordPress with very basic functionalities. The Button Container contains the buttons which have different functionalities. These features are provided by the WP-Edit Plugin. So, just drag and drop the buttons you need from the Button Container to Button Rows and click on Save Buttons. So next time when you create a new post, you will see the buttons that you had dragged earlier added to the button rows. To change font and font size, simply select the text and choose the appropriate option from the Font-Family and Font-Sizes drop down and you are done. 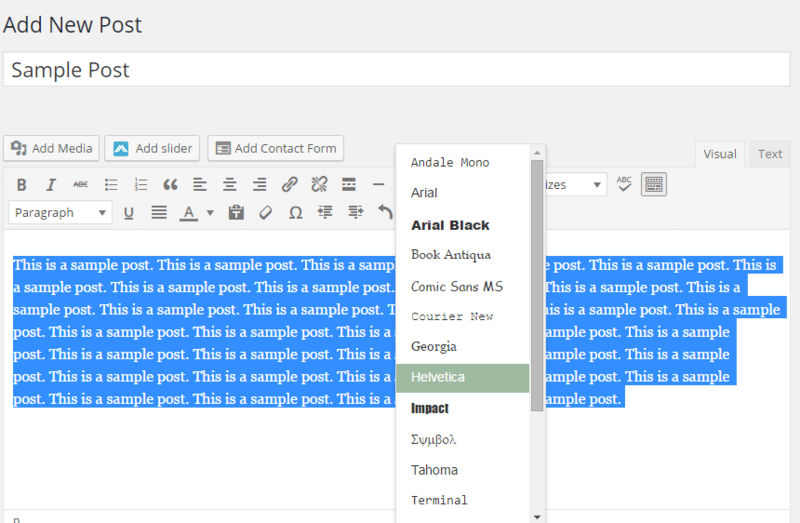 WP-Edit plugin will surely help you to create content like a pro. Below is the Video explaining the above steps in more depth.